Real estate developers Ahuja Anand Buildwell Pvt. Ltd has taken the meaning of shopping to a whole new level in Ghaziabad with the opening of the World Square Mall couple of years back. Located on the crucial portion of Mohan Nagar, which is revamping its stature with the arrival of metro station, the mall will have excellent migration patterns to other parts of Delhi-NCR. Coupling this with the state of art features and elite lessees, World Square Mall becomes the best investment bids in Ghaziabad. Starting from the avant-garde frontage with interesting displays, the exterior of World Square Mall is very exciting that its beckons shoppers inside. The architect behind this flagship project of 6 Lakh sq ft of built up area has carefully conceived the design to provide an intimate shopping spree with high rated performance. Over 80% of the mall is operational now with excellent footfall, which has created robust investor demand for the remaining precious spaces. After all, World Square Mall Ghaziabad justifies the investor floury. 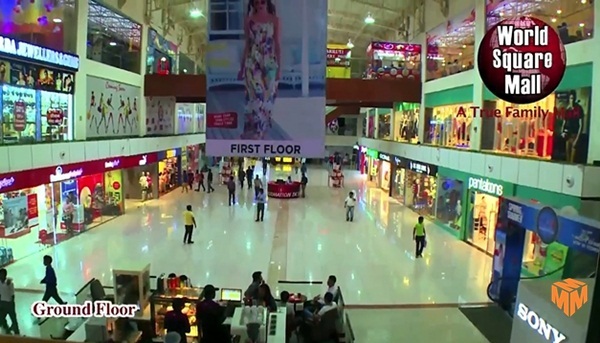 It is the only comprehensive shopping mall in the region which serves the shopping needs of residents in areas like Indirapuram, Vasundhara, Surya Nagar, Vaishali, Vivek Vihar, Rajender Nagar and Dilshad Garden. 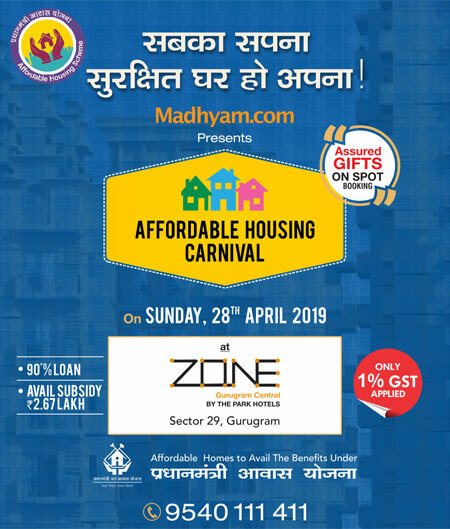 Moreover, the mall also stocks all modern amenities for the residents to enjoy the upper crest of shopping, fashion, dining, entertainment and hotel services in Ghaziabad. Note: World Square Mall investments are rewarded with astonishing 12 percent assured returns for lease upto 25 years in Mohan Nagar. Investments begins at Rs. 10 Lakh* only. Spar Hypermarket: Dutch multinational retail chain has leased out 1 Lakh sq ft in the mall to deliver the most trusted platform for residents to access almost all house hold accessories. Dining solutions: World class food courts of Haldiram’s, Café Coffee Day and Pizza Hut to provide ideal exercise for your taste buds. Hotel Services: An international standard, stylish, contemporary and cheerful hotel service is maintained by the maestro Xenious group. Entertainment: Fun Cinemas, one of the popular multiplex chains in the country is operating in the mall with three audis, having the capacity of 1000 persons at one time. Vanilla Brands: The mall has functional outlets of leading shopping brands such as Flying Machine, Bonjour, Pantaloons, US Polo Assn etc.